Donald Trump denied plans to build new golf course in Aberdeen as they do not address certain guidelines. Donald Trump's plans to build a second golf course in Aberdeen have been sent out of bounds by the Scottish Environment Protection Agency and Scottish National Heritage conservation agency. 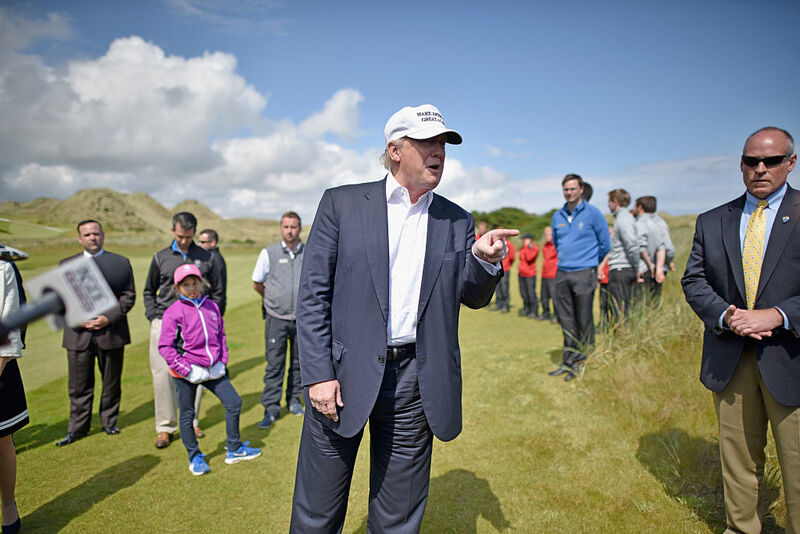 The organisations have stated they will deny Trump's plans to build a second course in Aberdeen, where Trump International Golf Links opened in 2012, because they not adequately address guidelines on sewage, environmental protection and groundwater conservation. Trump's original development plan included "two world-class golf courses, a luxury hotel with hundreds of rooms, and 1,450 homes", in an investment worth more than $1 billion. In the years since, the financial crisis of 2007 and 2008 slowed things down, and Trump's relationship with the locals cooled, as he attempted to buy land from the development's neighbors and engaged in a high-profile lawsuit over the construction of a wind farm, which he lost. Trump attempted to revise his original plans last year, proposing to build 850 homes and 1,900 timeshare units before he began construction on the second golf course, but the local planning board rejected the amended idea. In addition to adhering to the original plan, the local authorities expect Trump to build affordable housing units, a school and fund infrastructure improvement costs.